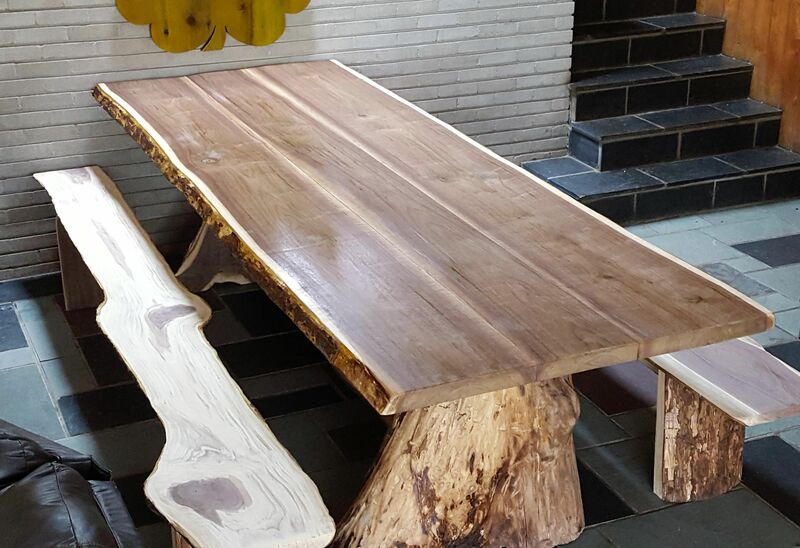 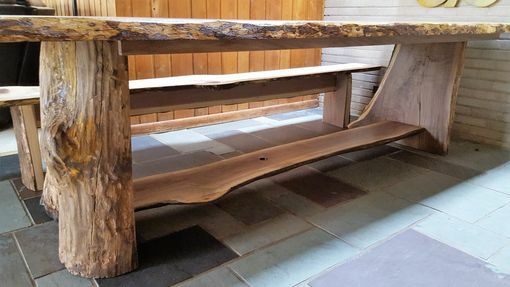 The ability to mill our own lumber allows us to make unique and functional pieces of art, such as this 10ft long Black Walnut dining table. 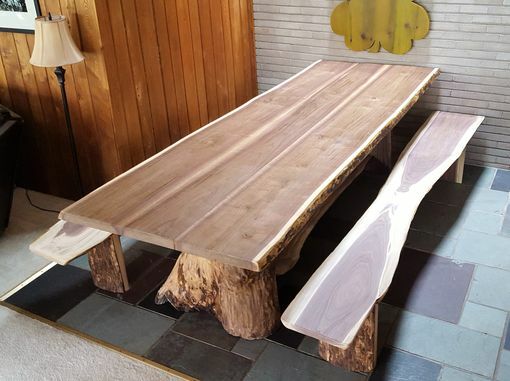 The base of the table was created from a piece of the same log that the table top was milled from. The matching benches were also constructed from that same log. 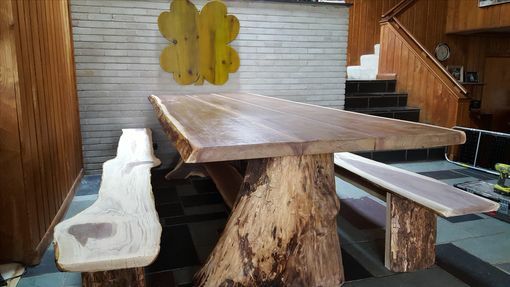 The entire set was constructed from one log that was carefully hand selected and milled for this project.